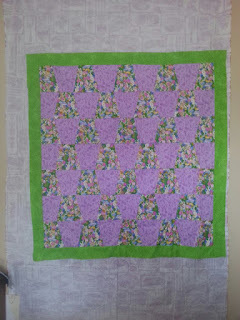 Here's the baby quilt for the cutie in Ireland up on my design wall. It has been sandwiched and it getting quilted tomorrow night. For anyone interested, my design wall isn't really a design wall. 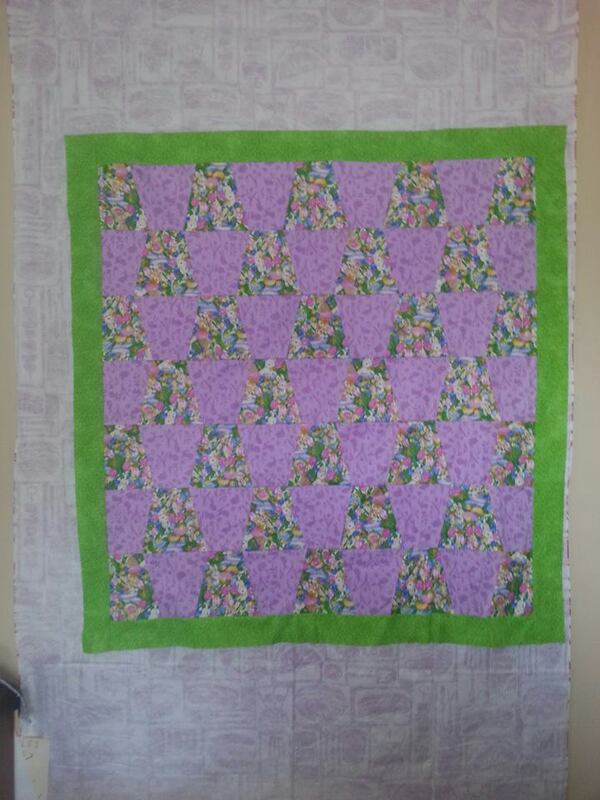 It's a dollar store flannel backed tablecloth that I've push pinned to the wall. Super cheap and easy.